Houston, TX- October 26, 2016 -- The University of Texas MD Anderson Cancer Center’s Institute for Applied Cancer Science (IACS) has initiated the first clinical study of a novel drug designed to starve cancer cells, IACS-10759. The study will enroll patients with acute myeloid leukemia (AML) and is supported by a $3.5 million investment from The Leukemia & Lymphoma Society (LLS) Therapy Acceleration Program®. Recent approval from the U.S. Food and Drug Administration to begin clinical studies was based on compelling activity upon IACS-10759 treatment in multiple preclinical models of AML. All cells rely on two processes to generate the energy they need to survive: oxidative phosphorylation (OXPHOS) and glycolysis. IACS-10759 interferes with one of the molecular machines within mitochondria to inhibit OXPHOS. Normal cells can get around OXPHOS inhibition by turning up glycolysis; however, the IACS team led by Emilia di Francesco, Ph.D., associate director of Medicinal Chemistry, and Joe Marszalek, Ph.D., head of Translational Biology, identified a highly potent and specific OXPHOS inhibitor to target cancer cells that are unable to compensate in that way, and survive. To accomplish this, Marszalek and Di Francesco, forged collaboration with Marina Konopleva, M.D., Ph.D., professor of Leukemia, who could offer clinical expertise and powerful models for studying AML. The team has since identified subgroups in other hematological malignancies and a variety of solid cancers that could also be vulnerable to OXPHOS inhibition. “We’re already working closely with several MD Anderson Cancer Moon Shots Program teams to develop IACS-10759 treatment for patients whose tumors rely on oxidative phosphorylation,” said IACS Executive Director Philip Jones, Ph.D. According to Konopleva, who leads the clinical trial, about 40 percent of younger patients with AML survive long term, while survival for patients over age 65 drops to about 10 percent. AML has been treated mainly with chemotherapy combinations for decades, and patient outcomes have not improved for the last 40 years. 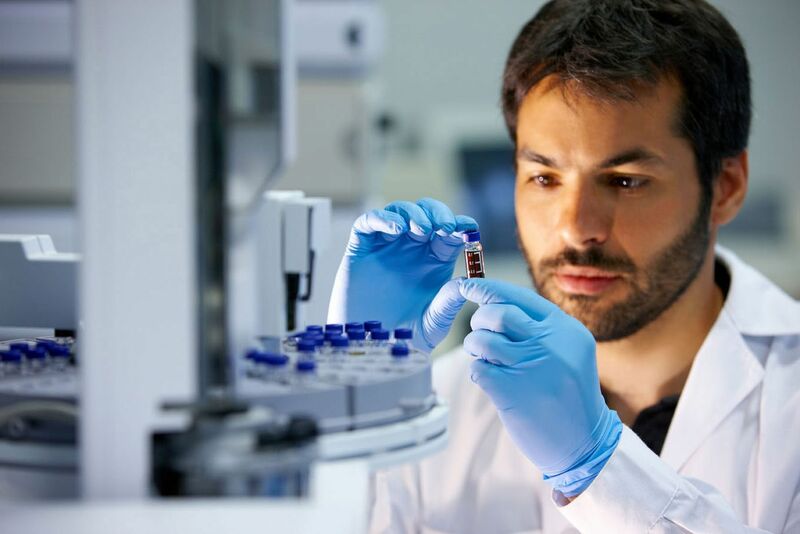 LLS recently announced its Beat AML Master Trial, a collaborative multi-site, multi-arm clinical trial to develop a precision medicine approach to treating patients with AML. LLS estimates there will be 19,950 new cases of AML diagnosed in 2016, most in adults, and about 10,430 deaths. This first trial of IACS-10759 will enroll up to 48 patients with relapsed or resistant AML. The primary objectives aim to determine the safety and tolerability of IACS-10759 and to establish a maximum tolerated dose as well as a recommended dose for a phase 2 trial. Secondary objectives will evaluate pharmacokinetics and pharmacodynamics, as well as progression-free and overall survival. MD Anderson has intellectual property surrounding IACS-10759 that could provide a financial benefit to the institution through activities such as licensing or the technology being sold to a private company for further development. All research at MD Anderson including clinical development will be managed under the institution’s policies and procedures to address any such conflicts. Launched in 2011 and developed as part of MD Anderson’s Cancer Moon Shots Program, IACS is a drug discovery biopharmaceutical unit embedded within the world’s No. 1 cancer hospital. With a Bench-at-BedsideTM approach, the seamless integration of drug discovery and clinical translation, IACS aims to contribute to MD Anderson’s mission of Making Cancer HistoryÒ. In addition to IACS-10759, IACS has a robust drug discovery pipeline of molecules targeting cancer cell metabolism, epigenetics, and other novel targets. MD Anderson’s Moon Shots Program is an ambitious effort to reduce cancer deaths by more rapidly developing and implementing advances in prevention, early detection and treatment based on scientific discoveries. Announced in 2012, the program now comprises 13 moon shots focused on a variety of the most challenging cancers backed by 10 platforms that provide deep expertise, cutting-edge technology and infrastructure to support innovative approaches. The University of Texas MD Anderson Cancer Center in Houston ranks as one of the world's most respected centers focused on cancer patient care, research, education and prevention. The institution’s sole mission is to end cancer for patients and their families around the world. MD Anderson is one of only 45 comprehensive cancer centers designated by the National Cancer Institute (NCI). MD Anderson is ranked No.1 for cancer care in U.S. News & World Report’s “Best Hospitals” rankings. It has ranked as one of the nation’s top two hospitals since the survey began in 1990, and has ranked first for nine of the past 10 years. MD Anderson receives a cancer center support grant from the NCI of the National Institutes of Health (P30 CA016672).